Scores of Palestinians were arrested by the Israeli occupation forces (IOF) at daybreak Tuesday in abduction sweeps rocking the West Bank. Overnight, an Israeli patrol rolled into Qalqilya’s eastern town of Azzoun and attacked Palestinian anti-occupation youth with randomly-discharged spates of bullet fire, injuring a young man in his leg. 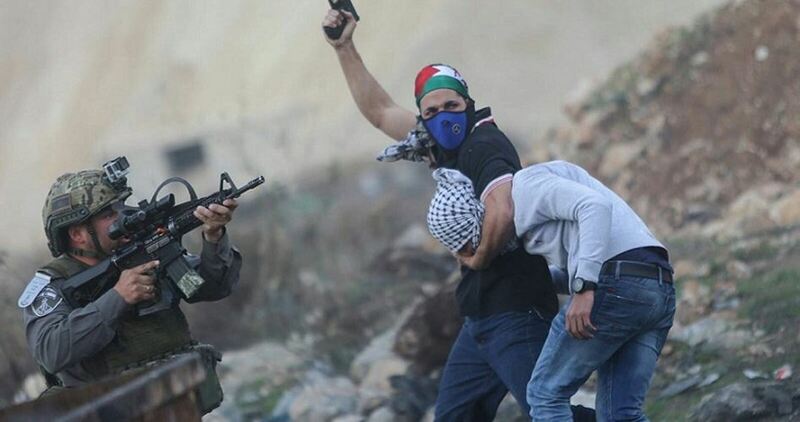 A number of Palestinian young men were kidnapped by the IOF in the assault. At the same time, Israeli soldiers stormed Ramallah’s western village of al-Janiya and wreaked havoc on civilian homes. A Palestinian youth was summoned to questioning at the Ofer detention center, southwest of Ramallah. Palestinian ex-prisoner Muayad Ghazi was also kidnapped by the occupation forces from his family home in Jama’in town, in Nablus. The IOF further broke into Jenin and cordoned off the Jenin-Haifa thoroughfare with a military checkpoint. A young man was kidnapped from the city. Palestinian civilians reportedly choked on teargas fired by the occupation forces in clashes that burst out in Jenin’s eastern corners. Meanwhile, a Palestinian child, identified as Nour al-Hindi, was kidnapped by the IOF from al-Khalil’s northern town of Beit Ummar. An iron gate was step up by the Israeli military at the main entrance to Kelkes village, south of al-Khalil. In the meantime, the occupation army threatened to demolish the family home of 17-year-old Palestinian boy Khalil Jabareen, from Yatta town, over allegations of his involvement in an anti-occupation stabbing attack carried out on September 16, 2018 near Gush Etzion settlement outpost, south of Bethlehem. A fanatic Israeli settler died in the alleged attack. An Israeli undercover unit kidnapped on Tuesday evening a Palestinian youth and brutally attacked two of his relatives in Shuweika, north of Tulkarem, in the northern West Bank. Local sources told PIC field reporter that an undercover unit intercepted a Palestinian car before proceeding to smash its rear windows. The unit beat up the youth, Mohammed Hussain, and his father, in addition to another family member who was on board of the car. Mohammed was later kidnapped and led to an unknown destination. Trees in the besieged Strip have not been carrying the same yield as in previous years because of the water shortages suffered by residents and farmers. Wells have also become contaminated and do not provide locals with a healthy water supply. In addition to this, farmers cannot always obtain the necessary pesticides to stave off disease and thus some trees die. Some 20,000 dunams of citrus plantations were harvested this year. At the start of the year, by a hydrologist who advises the Palestinian Water Authority reported that 97 per cent of the drinking water in the Gaza Strip is impotable because of sewage pollution or high salinity levels. Almost 90 per cent of the drinking water in Gaza exceeds the maximum salinity standard of the World Health Organization and is expected to become even more saline in the years to come. Israel’s Attorney General is drafting a legal opinion which will declare the International Court of Justice (ICJ) illegitimate on the grounds that there is “no Palestinian state”. Avichai Mandelblit said yesterday that he was drafting the judgment to refute the ICJ’s legitimacy to rule on the Israel-Palestine conflict, claiming that there is no Palestinian state and citing the fact that Israel is not a member of the court. Speaking to students at Israel’s Bar-Ilan University, Mandelblit explained: “I intend to issue an opinion soon, according to which the International Court of Justice in The Hague has no authority to discuss the Israeli-Palestinian conflict because there is no Palestinian state,” Arutz Sheva reported. The ICC was quick to respond to the US’ threats, saying: “As a court of law, [the ICC] will continue to do its work undeterred, in accordance with those principles and the overarching idea of the rule of law.” The ICC added that it is an independent and impartial institution with the backing of 123 countries. Israel’s opposition to the ICJ and ICC has become more vehement in the wake of Palestine’s appeals to the court. In January 2015 the Palestinian Authority (PA) signed the Rome Statute of the ICC, officially accepting the court’s jurisdiction over its territories and allowing a preliminary investigation into the situation in Palestine to be opened. In May 2018, the PA specifically requested that the ICC investigate crimes committed within its territories, with Palestinian Foreign Minister Riyad Al-Maliki meeting ICC prosecutor Fatou Bensouda to discuss the issue. The request called on The Hague to investigate the forcible transfer of Palestinians, unlawful killings, illegal appropriation of land and property, demolition of Palestinian properties, repression of dissent through the unlawful killing of peaceful protesters and the policy of mass arbitrary detention and torture. Since then the PA has called on the ICC to investigate a number of incidents. In June, the PA asked the court to prosecute Israeli Internal Security Minister Gilad Erdan for incitement after he called for Palestinians allegedly flying incendiary kites to be assassinated. In September, the PA called for an investigation into Israel’s planned demolition of the Palestinian village of Khan Al-Ahmar, which the ICC said could constitute a war crime. In October, the PA asked the ICC to investigate Israel’s escalation of illegal settlement in the West Bank city of Hebron. Thus far neither the ICJ nor the ICC have prosecuted Israel for its actions. These detentions followed a peaceful protest organised by Fatah and a number of the PA officers, protesting against the Israeli detention of the Fatah leader and the governor of Jerusalem Adnan Geith. Israeli occupation forces kidnapped 18 Palestinian citizens in overnight raids across the occupied West Bank, Local sources reported on Tuesday. 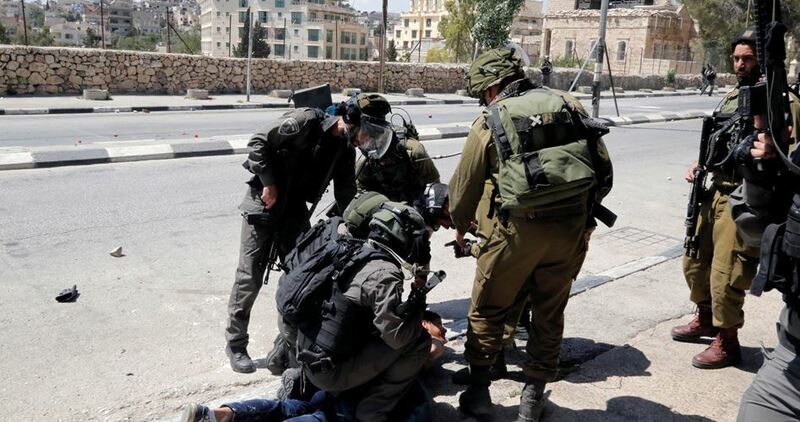 The Palestinians were kidnapped for “suspected involvement in popular terrorist activities”, a statement issued by the Israeli occupation army said. Meanwhile, the statement did not elaborate the nature of these activities. The Israeli occupation bandits frequently carry out wide-range kidnapping campaigns across the occupied West Bank on the pretext of searching for “wanted” Palestinians. BETHLEHEM, PALESTINOW.COM — Hundreds of Palestinians marched, Monday, in the West Bank city of Bethlehem, protesting the assassination of a Palestinian nurse, who was killed by Israeli soldiers while heading to Hebron to assist a patient. Israel escalated its open war against the Palestinian official presence in East Jerusalem, arresting on Monday 32 people belonging to the Palestinian Authority security services and the Fatah movement. The unprecedented wave of arrests came just a day after the detention of Jerusalem Governor Adnan Ghaith, the highest-ranking Palestinian official and President Mahmoud Abbas’ representative in the city. Israeli police said it had arrested persons “suspected of” recruiting staff and working for the Palestinian security services. Israeli forces raided many houses in Jerusalem in the largest-ever campaign against the PA. They arrested young men and published pictures of Palestinian security services membership cards, uniforms and other various equipment. Israeli authorities prevent any official action by the PA in Jerusalem as a unified capital city of Israel. Thus, sovereignty over the city is Israeli, but the Authority regards the city as the capital of the future Palestinian state. The recent measures by the Israeli security are believed to be linked to recent investigations by Palestinians and the arrest of a resident of East Jerusalem on suspicion that he facilitated the selling of land to Jews. The man was transferred to the Palestinian general intelligence prison. Yedioth Ahronoth newspaper reported that the detention of Israeli citizen Issam Aqel constituted a danger to the security of the state and that Israeli actions against the PA were aimed at forcing the Palestinians to release him.